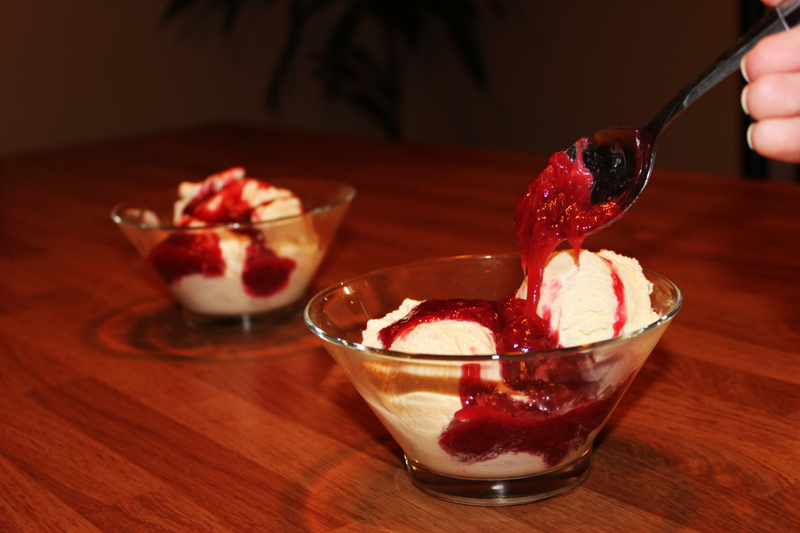 This entry was posted in Food on July 13, 2013 by Faith. It’s time to pick the rhubarb! 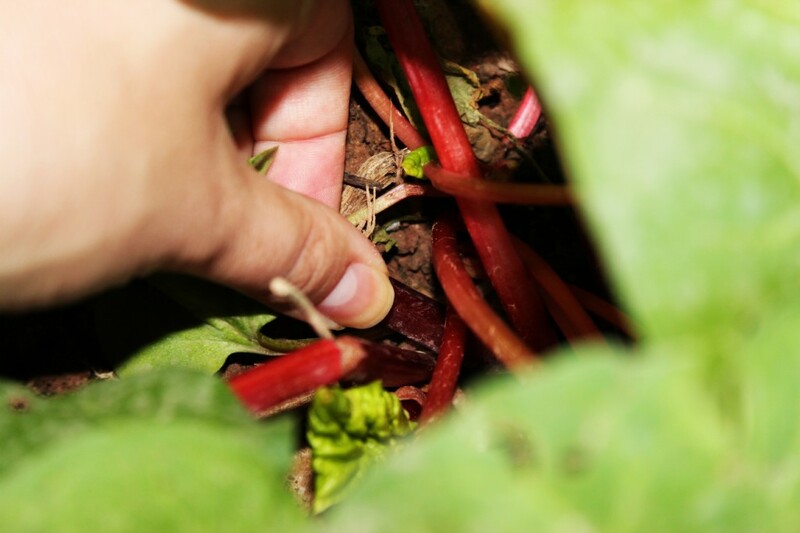 To pick Rhubarb, grasp the stem at the crown of the plant and pull upward. My rhubarb stalks are thin because my plants are young. But it’s OK. They’ll still work fine. 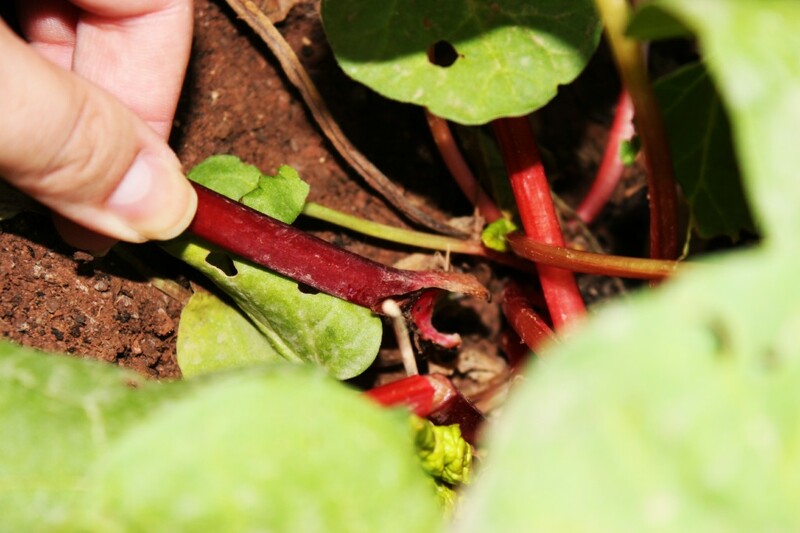 Pick the larger stalks, and remove them by pulling away from the crown of the plant. This is better for the plant than tearing or cutting the stems. Just give it a tug. It’s easy! …and satisfying. Now there’s no reason to waste the leaf. 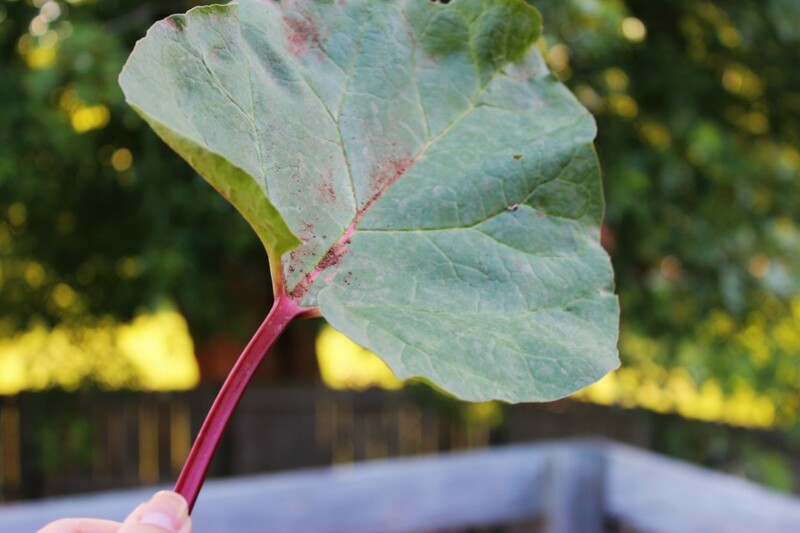 Although you can’t actually eat it, the rhubarb leaf makes a terrific weapon for sword fighting or slap fighting. So don’t be shy. I gave my husband(Mr. Dependable) a good “Thwwaap!” He liked it…even if he tells you otherwise. 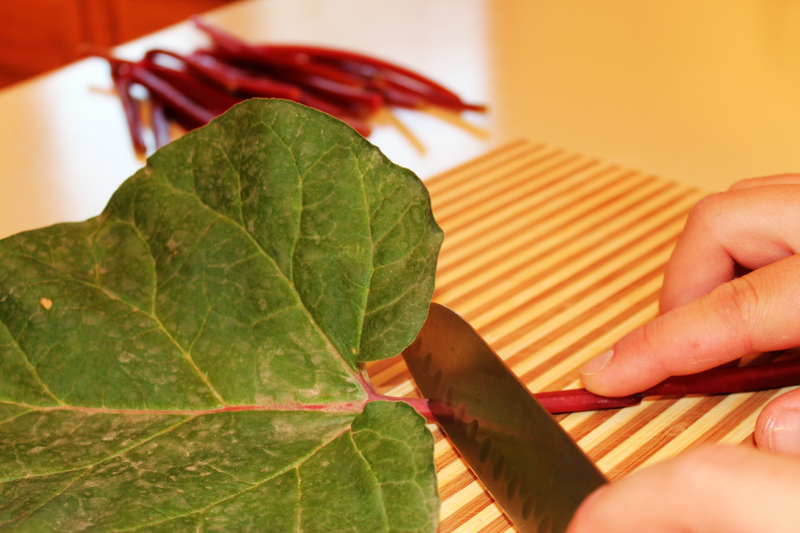 Now that you’re finished with the leaf, it’s time to cut it off. And the other end of the stalk too. 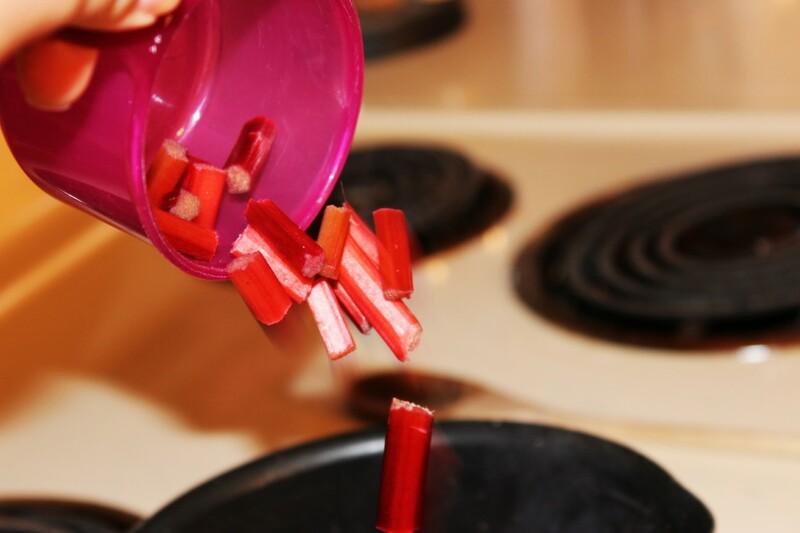 After washing your rhubarb stalks, you can stack them together and cut them into 1 inch pieces. Or you can have Mr. Dependable do it for you(like I did). 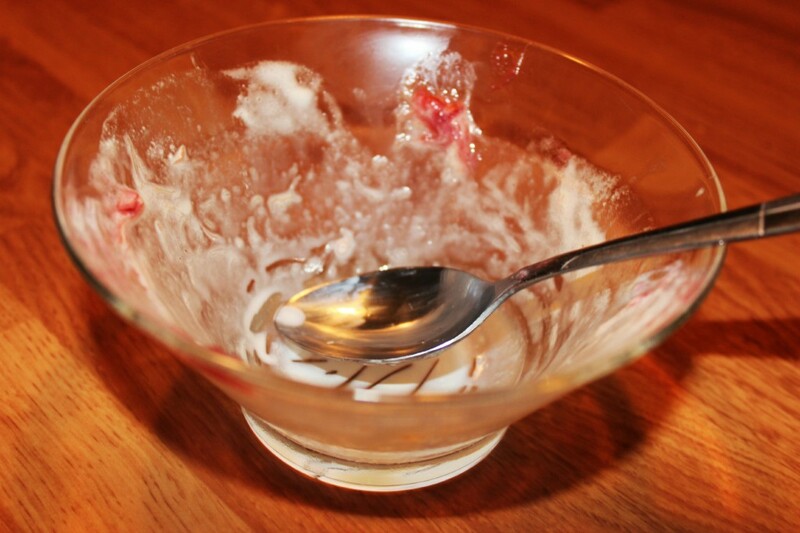 Now I picked about a cup and a half of rhubarb once it was all said and chopped. So I will use 1/4 cup water and 1/4 cup sugar for the recipe. Boil the water in a small sauce pan. Don’t watch it! 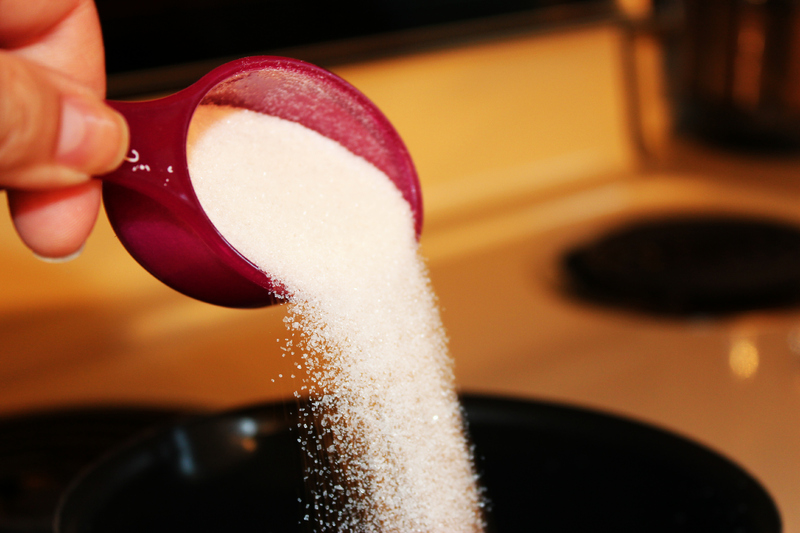 And dissolve the sugar into it. Once the water is at a full boil and all the sugar has dissolved, you can add the rhubarb to the pot. Now reduce the heat and simmer for about ten minutes, stirring occasionally. While I was waiting I cleaned up the dishes…It’s now or never. Really. 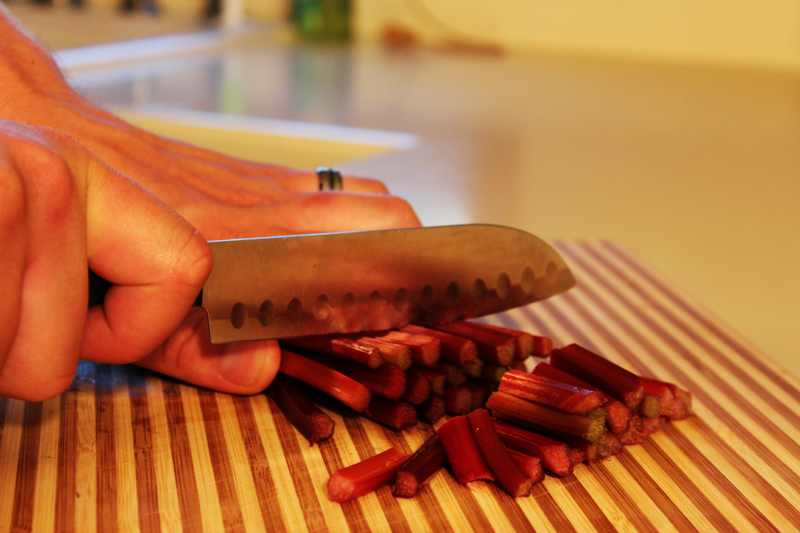 Your rhubarb chunks will slowly start to dissolve and start to turn to mush. More of an ooze really. And here’s the secret of the ooze: After simmering for ten minutes, remove from heat and add a dash of cinnamon. Looks great, doesn’t it? You can let it cool or eat it hot. I used it somewhere in the middle. While you’re waiting for it to cool you could feed the baby. But if you’re like me, you’ll probably let Mr. Dependable do it…Since he offered. Now Generously dollop over ice cream. Very, very generously. This yields about 2-4 servings or 1/2 cup. 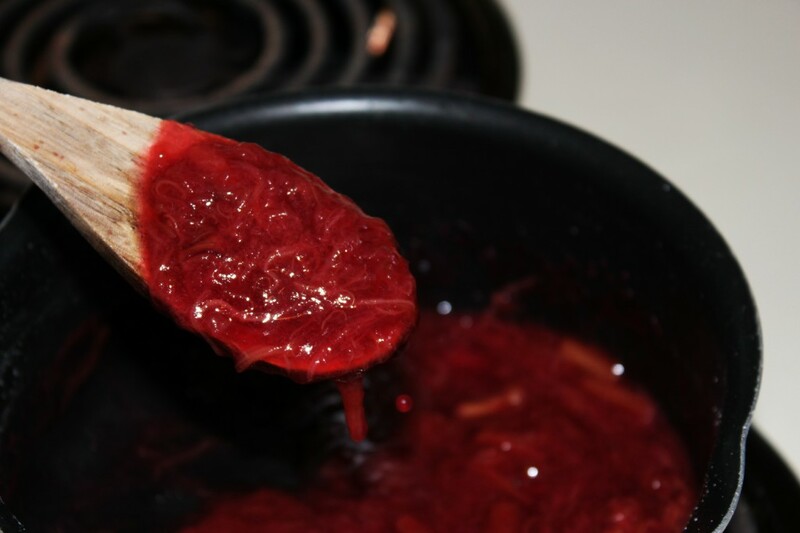 And there you have it: Ninja rhubarb sauce! YUM! Your pictures are fantastic–they are making me hungry! Time to harvest some rhubarb. Well, after the sun comes up. Thank you! I’m just learning to use this camera – and really enjoying it. ← A Fun and Delicious Breakfast!